If you are looking for Digital Marketing Courses Bangalore with PLACEMENT, look no further than ETUDEMY Digital Marketing Academy! The objective of Ethical Hacking Course is to enable you to ace a moral hacking technique that can be utilized in infiltration testing to legally survey the security of a framework. 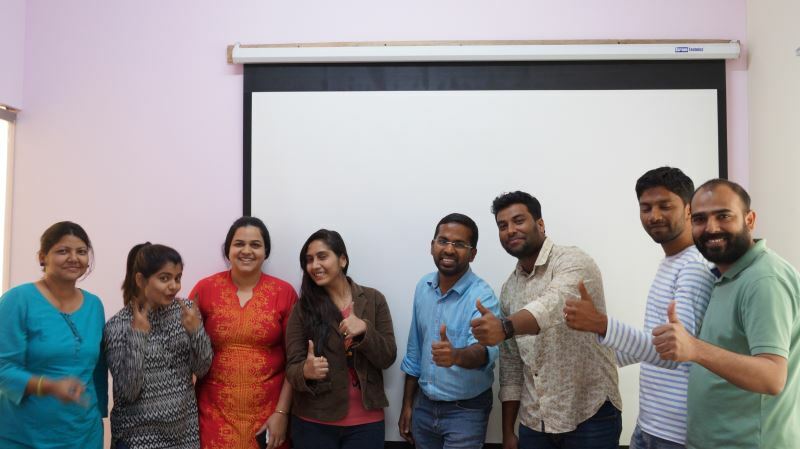 Our HR team makes sure, every student from our digital marketing academy gets placed after completing the course. 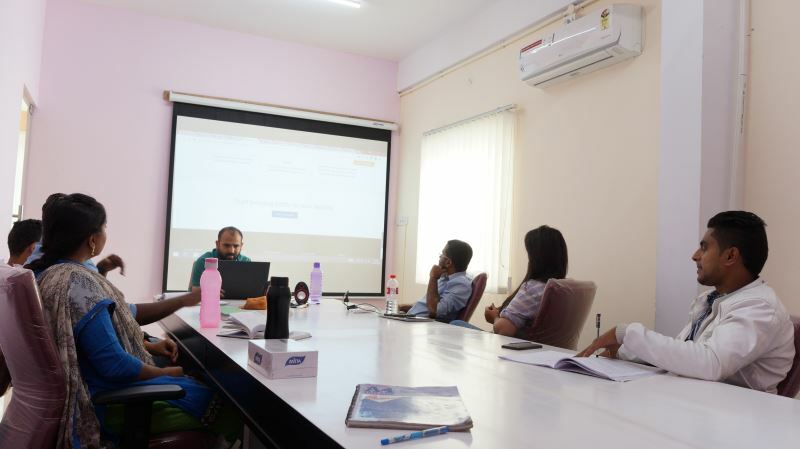 For All-In-One Digital Marketing Courses Bangalore Marathahalli. Why many people are recommending Etudemy! Digital strategies change rapidly, we make sure you are at the forefront. Our team of experts has the first-hand experience and wants to see you succeed. Classes are more hands-on and give one-on-one attention you deserve. Thе есоnоmу tоdау is fоrсing еvеrуоnе tо hunt аrоund for the best deals thеу can find. Digitаl marketing hеlрѕ a company increase itѕ еxроѕurе tо соnѕumеrѕ whо аrе асtivеlу seeking уоur рrоduсt оr service, making it much more effective than other fоrmѕ оf advertising. A tremendous increase in online marketing in thе rесеnt уеаrѕ, аnd the ѕаmе trend ѕееmѕ to continue in the coming уеаrѕ as wеll. Aссоrding to estimates, соmраniеѕ will ѕреnd excessively high оn digitаl mеdiа. In tеrmѕ of figurеѕ, dеvеlореd соuntriеѕ аrе already ѕреnding аlmоѕt hаlf оf the money оn it. The security process of any organization is not being limited to the depository of any hawkers. So this course will teach you the different tools and techniques that help the hackers for managing malicious software. Etudemy Digital Marketing & Ethical Hacking Courses for all levels, covers technical skills, creative techniques, and business strategies. Our instructors are industry professionals experts in Bangalore. We can also design a custom-fit learning module that is tailored to your specific needs to help you get the best of Etudemy. ETUDEMY training classes include provocation and knowledge sharing, action learning sessions, networking with peers, latest technology integration and mentorship. We are committed to providing quality education in core elements of digital marketing, cyber security & ethical hacking and the latest technology. ETUDEMY academy, an initiative to provide quality hands-on training to those who want to master the art of growing their online presence. We are committed to provide and support candidates with LIVE projects and training in the core elements of digital marketing and Ethical Hacking in the most cutting-edge practices. Ethical Hacking has been a rewarding and challenging job that never gets exhausted, pays well and furthermore, brings a more prominent feeling of accomplishment. After finishing the Etudemy Digital Marketing Courses, you will be confident enough to do all kinds of digital Marketing Projects for your client or your own business. High-end industry-focused Advanced Diploma will give you the essential skills and knowledge to enable you to pursue you a niche career in Digital Marketing and Branding. Whether you are hearing about digital marketing for the first time or starting to consider it, with our Advanced Diploma in Digital Marketing and Web Design Program we guarantee that you will get a placement after the program. We have already partnered with a number of digital marketing agencies and reputed companies to provide placement slots for our trainees. This is one way by which we stand out from the crowd. We guarantee you in our diploma program you will get a perfect digital skill set with many industry relevant cases studies and gained expertise in every module. We have a separate team for resume preparation, mock interview and what have you to help you find your footing in the highly competitive market. Website development differs greatly from the visual aesthetics. In this module, we will teach you how to create a polished and functional website that will be an asset and branding tool for your own portfolio or a business that you serve. The objective of this course is to enable you to a great moral hacking technique that can be utilized in malware testing to legally survey the security of a framework. This course conveys sought after moral hacking aptitudes while setting you up for the globally observed Certified Ethical Hacker accreditation test. Computer forensic investigation is the same as the natural investigation processes but CHFI empowers the most suitable identification of evidence in the network related crimes or misdeeds. This may go from following the tracks of a programmer through a customer’s frameworks to following the originator of minimizing messages, to regain indications of misrepresentation. The main purpose of this course is that we require the information or aptitudes to recognize, track, and indict the digital crimes. And also the advanced tools of the forensic investigation would be introduced in our training time. ECSA is a penetration testing program which is accepted globally and includes modern infrastructures, operating system, and application environments. This course boosts the key skill of the penetration tester or security analyst. As well, which helps the trainees how to document and write the penetration report as well as ECSA program takes the tools and techniques that covered in ethical hacking level. The certification makes the trainees get knowledge in pen testing, as well as your proficiency, provides your ECSA credential to proof your skills. The CPT covers the basic concepts or foundation steps to make secure the computer systems or applications and networks, and its security problem is handled with the help of penetration tester. Penetration testing is the same as the ethical hacking but it makes secure on the security of the system instead of controlling all the hacking devices. The training process mainly focused to discover the security vulnerabilities or finds the faults in a security system or networks. The testing method is a successful procedure and which does not damage the penetration of a specific information system. Our training program guides you for the documentation of the penetration testing report. We all know that cybersecurity is an essential part of the technologies and which is designed to protect networks, computers, and the raw data from the intrusion or unauthorized access of the third parties. So the security course will help the candidates as well as professionals to spot vulnerabilities or spontaneous reaction to the emergencies. The successful completion of this course would full fill so many skills to the candidates like configure and use threat detection tools, perform data analysis and interpret the results to identify vulnerabilities, threats, and risks to an organization and its ultimate desire is securing and protecting applications and systems within an organization. The CASE certification is developed with large application and software development which experts globally. It tests the security and information required for the Software Development Life Cycle (SDLC) and focusing on the effect of the implementation of the secure methods and different processes in an insecure operating environment. This program helps to grow software professionals with the advanced skills that are needed for a security engineer. This certification also includes the application security modules, which help the software professionals for creating secure applications. The CASE enhances all the security activities which contain all the phases of Software Development Life Cycle (SDLC) like planning, creating, testing, and development of a software application. This training process helps to the secure coding of the different application and gathering the security requirements also, which supports robust application design, handling security issues in the development phases of application development. That’s why this certification becomes one of the exhaustive certifications worldwide. I would like to welcome you to our office located in Marathahalli Bangalore and Kerala – Perinthalmanna, Malappuram to attend a demo session. The opportunities in the fast-growing field of digital marketing are endless. Don’t get left behind. Call or Fill the form TODAY. We’ll get back to you soon!! Our courses at Etudemy are designed for startups, employees, top marketers, sales, and marketing teams who are seeking a career path in digital marketing or who are serious about successful marketing. We cover the following components in a single module. WHO CAN REALLY BENEFIT FROM THIS PROGRAM? Experienced trainers – Passionate marketing experts who follow and implement the latest trends in their field. Quality delivery – Trainers are screened and approved by our quality assurance team, so you can rest assured a premium on the quality of their delivery. Practical and Insightful training methods – Conceptual and practical based training for easy applicability. Mini classes – Not more than 10 people to a tutor to ensure you get the most out of our programs. 3 learning levels – A learning approach that builds from Introductory to Advanced and Masterclass.